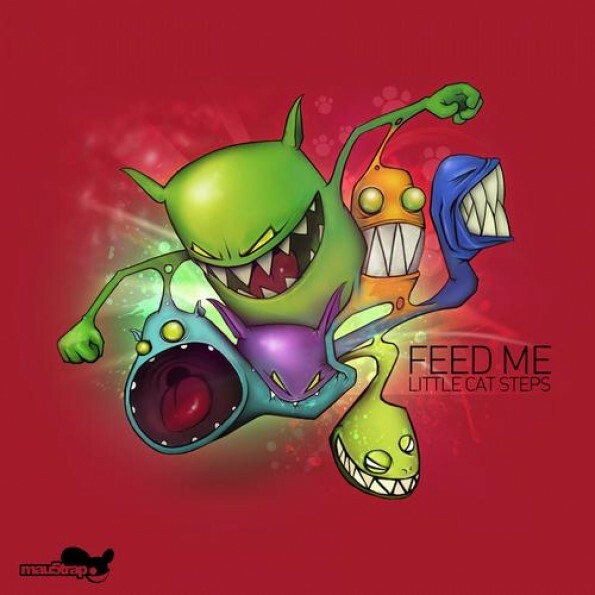 Feed Me – "Little Cat Steps"
Back in February Feed Me released Escape From Electric Mountain: an electro-moombah-step journey through six rip-roaring tracks that delighted the ears of fans the world over. After a brief hiatus the British producer has returned with yet another hit, “Little Cat Steps,” out now on mau5trap. What first caught my attention was the futuristic harpsichord sound, which immediately reminded me of the infallible Daft Punk’s “Aerodynamic.” However Feed Me’s sound is not lost as dirty basslines pound in sync with hi-hats, all closing with a signature dubstep end. so great. feed me has such a definite sound and style to each one of his tracks i love it, all of it.